Dr. Fatima Bastaki, Consultant Pediatrics and Clinical Genetics and head of the campaign's Organizing Committee, said that the campaign will tour 3 sites in Dubai in order to communicate with the largest possible number of individuals from all segments of the society. The campaign aims at briefing people about the meaning of the rare diseases, its prevalence in UAE and the preventive and treatment methods. "The campaign will start its journey from Mirdif City Centre, from Sunday to Wednesday, 10 am till 10 pm. A group of volunteers, led by a team of specialists, will communicate with the visitors and distribute the Arabic and English brochures about the rare diseases and souvenirs", Al Bastaki said. "Then, the campaign will move on February 28 to the Children's City, Creek Park. An open day will be organized for the children with rare diseases and their families, with the participation of a distinguished group of doctors, specialists, nutritionists and psychologists. The meeting aims at exchanging the experiences of children with rare diseases including their educational, social and psychological daily difficulties and the suggested solutions. On the other hand, the children will enjoy the entertainment program including many interesting activities such as face painting, henna, games and competitions. Also, many gifts will be distributed", she added. "The third leg of the campaign, on Friday the 1st of March from 6pm till 10 pm, is Zayed Bin Mohammed family gathering, Al Khawanij. A motorcycles march by the Emirates Motor Sports federation will kick off touring many streets in Dubai and will return back to the starting point where a religious lecture by Shaikh Khalid Ismail will be delivered", she said. It is worth mentioning that 340 Rare Diseases in Arabs were monitored, hinting at an actual figure that could be 2-4 times higher, according to the report issued last year by the Award's Center for Arab Genomic Studies. 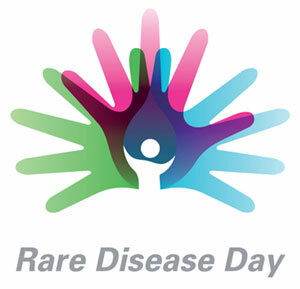 The early detection of the rare diseases is important. The proper diagnosis of rare diseases in the early stages contributes to their alleviation and prevents a rapid development to happen, may lead to a permanent disability. Despite the huge interest with common diseases, the ways of prevention and treatment, the rare diseases require conducting more studies on their causes, diagnosis and treatment. Also, the educational, health, and social lives of children with rare diseases have to be supported in order to integrate them with their peers in the community.